You'll be £30.00 closer to your next £10.00 credit when you purchase Big Gun Battles. What's this? Order within the next 2 hours, 49 minutes to get your order processed the next working day! The outcome of much of the maritime warfare in the Second World War was decided by the torpedo or the aerial bomb, making relatively recent warship types, the submarine and aircraft carrier, the new arbiters naval conflict. Yet despite this, there was a surprising number of traditional ship-to-ship engagements involving the big guns of battleships and cruisers. This book recounts some of the most important, technically interesting, or obscure of these gunfire duels in a narrative that combines pacy storytelling with an in-depth understanding of the factors influencing victory or defeat. Covering all theatres of the naval war from 1939 until the Japanese surrender, the incidents are selected to demonstrate the changing face of surface warfare under the influence of rapidly improving fire-control systems, radar and other sensors. By 1945 this allowed big ships to open fire at great ranges with a high probability of hitting with the first salvo. This success was the pinnacle of gunnery excellence, but also heralded the end of naval gunnery as a major factor in sea warfare – facing such deadly accuracy, navies looked to longer-ranged, and smarter, ship-killing weapons like surface-skimming missiles and homing torpedoes. 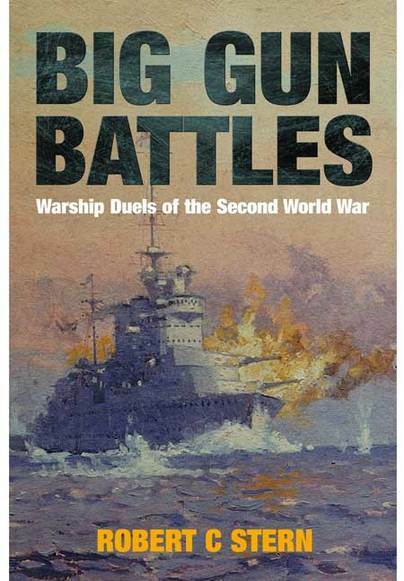 The author has addressed one of the neglected aspects of naval warfare in WWII, namely gun duels between major warships. The aircraft, carriers, torpedoes, bombs and submarines had reached maturity by 1939 and dictated much of the conflict at sea. Deservedly, they merited the lion share of attention in the news of the time and in the subsequent history coverage later. The author has introduced some balance. There were still gun duels and there were Fleet actions. They had an impact on the course and outcome of war. The able text shows careful research and the book contains a considerable number of illustrations through the body of the book. An excellent and rewarding story of the last hurrah of the naval big gun. Includes 150 photographs, many unusual and unfamiliar. The book is well researched, drawing on primary sources including after action, official sources and numerous secondary sources...Stern's writing and presentation imparts a freshness to the narrative. 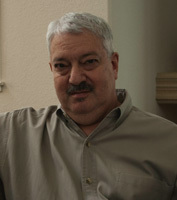 Robert C. Stern has been writing naval history for more than thirty years, during which time he has published four major works and numerous monographs for the history buff and modeler. His major works include Type VII U-boats and The Lexington Class Carriers, both of which were technical analyses of important warship types, and Battle Beneath the Waves: The U-boat War, which was a collection of stories of of U-boat warfare from the two World Wars. His most recent work is Destroyer Battles - Epics of Naval Close Combat accounts dramatic engagements in the history of destroyer warfare. His other main interest is photography, which can be seen at www.stern-photography.com. He lives in Cupertino, CA, with his wife Beth and two uninterested cats.